Altronics is proud to announce its fortieth year as an Australian owned and operated electronics retailer and manufacturer. 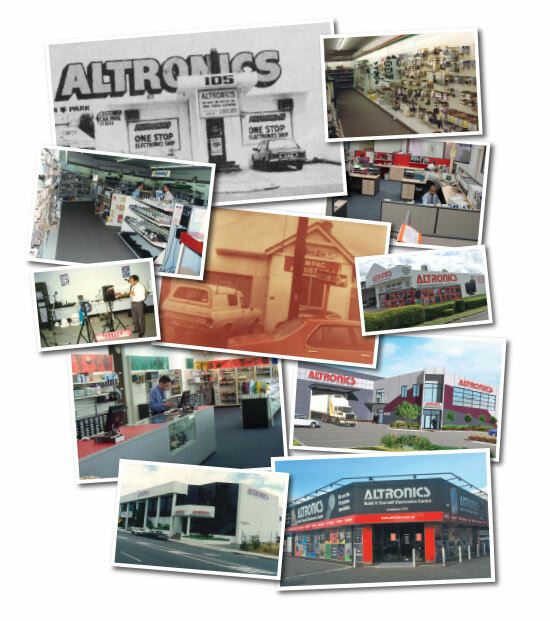 In an era where so much of Australia's manufacturing base has been shifted offshore, Altronics have achieved four decades of innovation and steady growth in it's commercial audio and retail electronics businesses. When Jack O'Donnell founded Altronics in 1976 it was a small electronics retail store in Stirling St, Perth with a wholesale division located in Subiaco. Initially it was staffed by just four people. Since that time it has expanded its operation to a national business employing over 100 people, with retail stores in WA, NSW, VIC and QLD. Altronics are also the manufacturer of Redback public address products, a renowned brand of quality Australian Made audio equipment. Redback is now used by installers throughout Australia, New Zealand, Asia and the Middle East, proving that Australian manufacturers can still provide innovative quality products to the international marketplace. Director & Sales Manager, Dean Stephens adds that many of Altronics achievements can be attributed to their keen focus on customers. "Our customer service has always been the primary focus of our business. We enjoy having discussions with customers about our products, because inevitably it enables us to develop and design products better suited to the market. It is a distinct advantage of dealing with the manufacturer directly and not just selling products off the shelf"
December 6th marks the official 40 year anniversary of Altronics, which will be met with much fanfare from staff and customers. "We are thankful to our many customers for making this milestone possible" said Brian Sorensen, General Manager of Altronics. "Their feedback has helped to shape our company through the years. We look forward to continuing to serve our valued customers for many years to come."